"A huge 'little' book" … "Brilliantly researched" … "A must read" … "Refreshing" say reviewers. 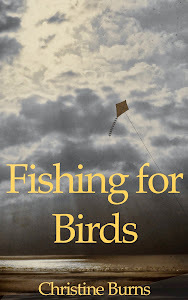 Our new book, is now on sale from today on the Kindle store in all territories. £7.99 in the UK. Purchase here. MAKING EQUALITY WORK combines background facts and theory about the history and nature of equality and diversity in Britain with the detailed description of how we set out successfully to raise the measurable levels of equality outcomes for the National Health Service in North West England. The first half of the book is a theoretical primer. It explains how Britain changed over the last 50-60 years with the progressive emergence of all the diverse groups which we see today, and how society and the law responded to the demands from each group for social equality and protections. We explain why equality matters and why attempts to change public institutions to achieve it often fail. This is backed by an extensive literature review. In the second half of the book we describe our own practical, evidence-led and strategy-driven approach within a public sector system of over 60 autonomous NHS trusts, and how that can be applied elsewhere. The book explains not only WHAT we did, but WHY we did it that way, and the benefits and pitfalls in hindsight. The text is written in an accessible style for a wide range of readers and contains many references to contemporary published work from both academics and public sector sources. "This is a huge 'little' book. A text book that reads more like an engaging novel. Full of facts, statistics and testimony. A brilliantly researched book with a strong narrative outlining the context for equality in the NHS and why, despite considerable progress, equality matters more today than ever before. What you get is written by people with a passion and an expertise, who have got their hands dirty, detailing a candid, system wide case study highlighting approaches and successes but realistic about progress and lessons learnt." — Dean Royles, Chief Executive of NHS Employers and Acting Chief Executive of the NHS Confederation. "...a must read for all those who work not just in healthcare but in other sectors too"
— Dr Kailash Chand OBE, Deputy Chair of the British Medical Association. 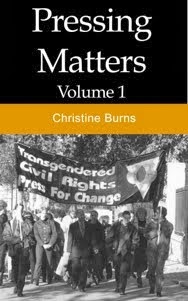 "It is refreshing to see a book which gives the important background and context of equality laws. This book is important in making equality laws understandable in Plain English." — Linda Bellos OBE, Chair of the Institute of Equality and Diversity Practitioners. "This book provides a solid local, regional and national context to equalities and human rights in the UK and how and why they should be embedded into the work of public authorities. 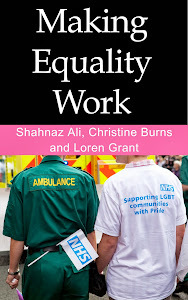 It is a refreshing reflection on real life experiences of equality work in the last 7 years of the NHS. Any due diligence in building new health and social care systems should pay regard to the lessons of the past. This book offers many of them." — Jackie Driver, Programme Head, Public Policy at the Equality and Human Rights Commission and Chair of Breakthrough UK. "MAKING EQUALITY WORK is essential reading for equality practitioners as well as senior management in the health sector and beyond. In a refreshingly jargon-free way, the book shows how it is possible to work strategically to achieve positive change, against formidable obstacles, in a very large organisation where promoting equality was not always a priority." — Peter Baker, Men’s Health Consultant. "...provides a model that has been shown to work on a large scale and presents it in a way that makes understanding it manageable. This is an essential textbook for those want to bring about real change in their organisations, and provides a roadmap to enable this." — Sîan Payne, Director of Organisational Development at the Lesbian and Gay Foundation. "...an important and welcome publication, not just for the NHS but in any organisation or venture: it is not only a 'how to' book but also a 'why to' book. The 'why' is often the biggest barrier, and it is well tackled here." — Lorraine Gradwell MBE, former Chief Executive of Breakthrough UK. Christine, please forgive me for posting a comment unrelated to the post. A friend of mine's (who came out as trans last year) mother is openly hostile to trans people. She clearly thinks that we're delusional and a waste of tax payers' money. She seemed to at least listen to science and numbers. I know that some time ago you put together a post with a breakdown of costs involved in trans treatment but I now can't seem to find it. Could you help me out with a link so I can send it on to him? Thank you. I must just have been getting confused because I saw it from one of your tweets (my twitter account is locked or I would have asked via twitter). Thank you again. Love this post. There Are so many things to write my essay take into account when starting your online business. have a glimpse at this page and you'll find interesting essays about paying taxes and different services. You can also find scientific essays and essays for school or college. You can really hack someones snapchat account here.